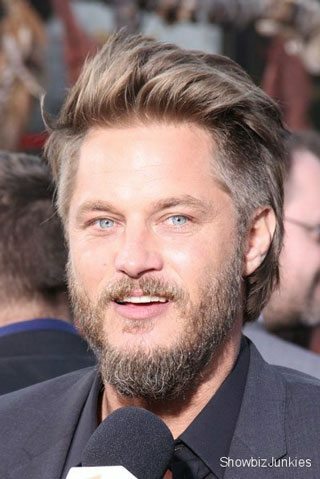 Ridley Scott’s set his principal cast for the TNT sci-fi series, Raised by Wolves, and Vikings star Travis Fimmel is on board with a starring role. The series marks Ridley Scott’s television directorial debut with Prisoners screenwriter Aaron Guzikowski writing the scripts and handling showrunner duties. Ridley Scott, Aaron Guzikowski, David W. Zucker, Jordan Sheehan, Adam Kolbrenner, and Robyn Meisinger are executive producing. Scott Free Productions is producing along with Turner’s Studio T.
Filming is expected to get underway this month in Cape Town, South Africa. TNT hasn’t yet set a premiere date for Scott’s new series. The Plot: Raised by Wolves centers upon two androids tasked with raising human children on a mysterious virgin planet. As the burgeoning colony of humans threatens to be torn apart by religious differences the androids learn that controlling the beliefs of humans is a treacherous and difficult task.